I never thought I’d get excited about economic history. Or economics, in general. But when everything crashed in 2008, I got interested. I remember being completely transfixed while listening to This American Life’s podcast about the real estate meltdown (A Giant Pool of Money). And dumbfounded that I was so fascinated. I started reading the business section of the newspaper. And I started subscribing to the Planet Money podcast. A few weeks ago, they posted the following graphic on their blog–all about “children in gainful occupations” according to the 1920 census. The timing for this piece was wonderful–at work, we’re currently working on an event where we’ll talk about work at the turn-of-the-century. We’ve made some exhibit changes over the past few years that make business and economic history much easier to teach. We will talk about jobs at the General Store, Bank or Hotel, but since this is a family-centered event, I want to make sure that we also talk about children working. We probably won’t delve too deeply into child labor, but I certainly want to talk about the kids of the past that had to earn money for their family’s (or their own) survival. In Chapter 4, their work is better described. Meg, at 16, was a nursery governess for four children. Jo was a companion for Aunt March, as a companion and helper. To her surprise, a faint gleam of light came into the child’s eyes–a shade of relief. As a child, I don’t think I got how terrifying this situation might have been. Of course, the magical dinner that appears later might have helped with that illusion. Perry Miller in Emily of New Moon and Peter Craig in The Story Girl. 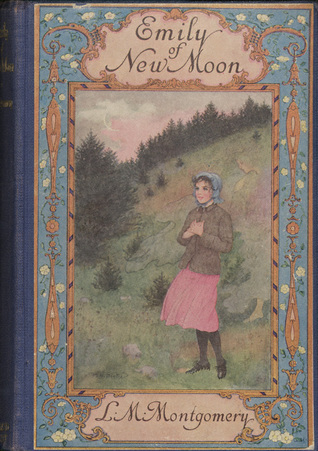 There are tons of hired girls in L. M. Montgomery’s fiction–and of course, we know that before Anne found Matthew and Marilla she was working in a household, assisting with the children. I think it’s really important to remember that not all of the hired boys and girls in LMM’s fiction are as alone as Sara Crewe appeared to be. Perry had an aunt whom we occasionally see. But these were still kids that needed to grow up quickly–Perry was only 12 or 13 when he went to work. Interestingly enough, the divide between the kids who had to work and the kids who just want some extra money lines up chronologically. The books mentioned above are set from the 1860s to the 1890s. The books below are the late 1890s to the 1900s–a sign of how the world was continuing to change? That may be a bit of a reach, but it is interesting. Tom in the Great Brain books. Oh, Tom. A pint-sized con man. He earns money in all sorts of crazy ways–tricking kids and adults. But, that wonderful chapter about charging kids to see a flush toilet? Yep, we’re totally borrowing that idea for the event at the Village. Even cooler? There’s a story of one of the Sullivan kids doing the exact same thing with “our” toilet. My goal for all this list was to stick with the museum’s time period of 1840-1910–so no Henry Reed or the Melendys or others. But these are all such good examples of kids entering into the workforce–sometimes by choice and sometimes by necessity. So often, when we think about the past, we’re using rose-colored glasses. But so many kids had to work to survive. It’s a startling thought for many young people, but using these stories is a great way to get started. And then we can start talking about child labor laws. . . So, what have I forgotten on my list? Some friends mentioned Understood Betsy and Five Little Peppers. I’ve never read the other Betsy, and it’s been a long time since I’ve read about the Peppers. I was hoping to get a reread in, but I think I’m out of time. Other thoughts? Last week, I had carpet replaced in about half of my house. The good news: I didn’t have to move all of my books. But I did have to move quite a few books. I never really think about how many books I have until I move them somewhere, and then it suddenly becomes painfully obvious. One of the shelves that got moved was my “to read” shelf–all the books that I’ve bought and never read. It didn’t seem like that many books until they were stacked vertically. I know it could be worse–heck, I have friends who have much bigger piles than I do. But in a way, it stresses me out. And then I read this article, a review on NPR of Elizabeth’s German Garden. I bought this book years ago (maybe 10?) and have never cracked the cover. Of course, I must also confess that I only bought it because this book was one of L. M. Montgomery’s very favorite books and is where she borrowed that immortal phrase “kindred spirits.” I bought it as a curiousity, never thinking that it might actually be a book I enjoy. And based on this review, I think I might really like it. I started feeling really guilty about all the books in my house that were interesting enough to buy, but haven’t yet been read. Over the last year or so, the vast majority of books I’ve read have come from the library. Which is a great and wonderful thing, and it’s not like I’m going to abandon the library. But I have decided this: as soon as I finish the two books that I currently have checked out, I’m going to only read books that presently reside in my house for one month. It’s a break from the library, as magical as it is. And though I’m not one of those bloggers that inspires challenges and such, I do invite you to join me in a library break and tackle your own to-read stack. There’s no telling what we might discover on on our own shelves. So, what should I read first? There are some stories that never quite let you go. My love for Rilla of Ingleside has been mentioned here more than once. That love led me to my senior thesis and, more recently, to my most recent publication on the Dallas homefront during WWI. So is it any wonder that I was thrilled that Benjamin Lefebvre and Andrea McKenzie were coming out with a new edition of one of my favorite books? And that I was also just a wee bit jealous? There are many, many things that thrill me about this book. Finally, all your major questions sparked by the history in this book are answered within it! The original text is restored, after having been “silently” cut decades ago. And it’s just a pretty book. But my biggest thrill is that I finally have proof that people besides me value this book and realize how important it is–to both literature and history. When I was doing my research for the article on Dallas clubwomen during WWI, I knew I wanted to focus not on the extraordinary–the women who worked outside the home, went to France as nurses, or did any number of remarkable things. No, I wanted to focus on what most women would have done–fit war work into existing lives. Those lives were stretched, but not completely undone. And as I wrote that paper, I desperately wanted to quote Rilla, though I just couldn’t quite justify it. If I had to pick just one book to explain my whole thesis about kidlit history–that there is some history that is be found in children’s literature and can’t be found anywhere else, this book would be the one I would pick. Primary sources on the emotions and daily lives of the women that watched and waited are hard to find. We tend to document the extraordinary. Though these women were living in extraordinary times, I don’t think they realized how much their lives were changing. Frankly, I can’t think of another novel, from any country, written so closely after the war that takes the time to talk about the home front. So, I lift my glass to Montgomery for writing this wonderful book in the first place. And I lift my glass to Benjamin Lefebvre and Andrea McKenzie for working so hard to put this book in a wider context and give it the attention it so richly deserves. For now, United States readers have to order this book directly from Canada. Here’s hoping that one day it will be easily available in the United States. The good news is that the exchange rate is currently almost even. Trust me–you need this book in your personal library. Wonderful, wonderful interview with Benjamin Lefebvre, one of the leading scholars on L. M. Montgomery and her work. Not too long ago, he edited The Blythes Are Quoted, which is essentially her final manuscript that was published very differently from the way she envisioned. He’s coming out with a new edition of Rilla of Ingleside, one of my all-time favorite books that is filled with all the great WWI historical details that I crave. I love that they’re answering all those questions right in the same volume and can’t wait to check it out. Isn’t it just beautiful? Highly recommend the article linked to above. And check out his blog too! I believe I have officially started my Christmas wish list. . .